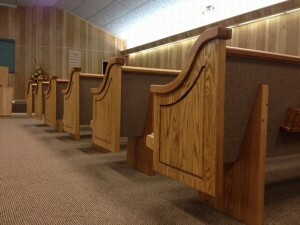 Classic, Traditional, and Contemporary are terms you’ll often hear when looking for new church pews. But what exactly do they mean and how do you know which style you need? Learning a bit about each style will help you better understand what you’re looking for as well as how to talk to church pew companies so you’re both on the same page. While we have our own descriptions for different styles, these three basic groupings can help you better understand custom made pews. When you think of a colonial church with white church pews, high armrests with gothic style features, clergy chairs with decorative backs, and other highly stylized aspects of a church furniture that take their roots in hundreds of years of history, you’re thinking of traditional style church pews. 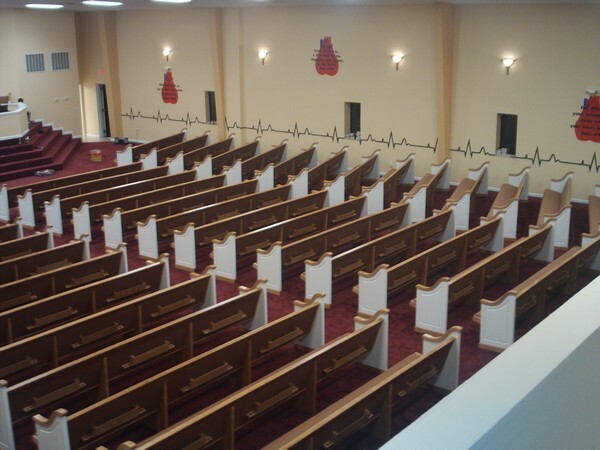 These church pews and church furniture are often more reserved feeling and add a strong sense of decorum to church services. They’re perfect for more traditional feeling churches that have their foundations built on long lines of history. 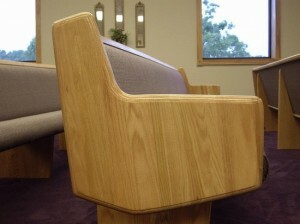 To tell if a church pew is traditional, it’s a good idea to picture what type of church you’d see it in. The ones at right you can imagine seeing in a church with a choir on a second floor, a white building with a steeple, and a raised altar. On the other end of the specturm, contemporary styled church pews are less grounded in tradition and offer a new take on what it means to worship in church. Contemporary styles often have floating ends that aren’t touching the ground or very low arm rests. 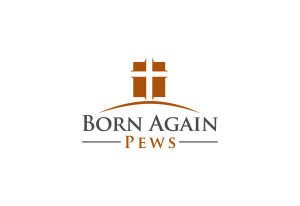 These church pews often appeal to churches with a reinvigorated sense of what it means to worship in a church or who like to do things their own way. Contemporary style can mean a lot of different things but they’ll always feel modern and new and often are more angular than traditional styles. Contemporary churches usually have very modern architecture and might have innovative ways of interpreting traditional features like stained glass. Church pews in a classic style are sort of a mix between the two other styles, often taking modernized approaches to church pews with features like floating church pew ends but combining them with more traditional aspects. The church pew end at right is a great example of a classic style church pew, with a floating end but with some traditional styling features you’d see on colonial style church pews. They also take on roles of their own too, with completely different designs that have a lot of curves but fit into neither contemporary nor traditional categories. Classic churches usually have a mix between contemporary and traditional features. If you’re looking for the perfect style for your church but aren’t sure what to choose, contact us and we can help.